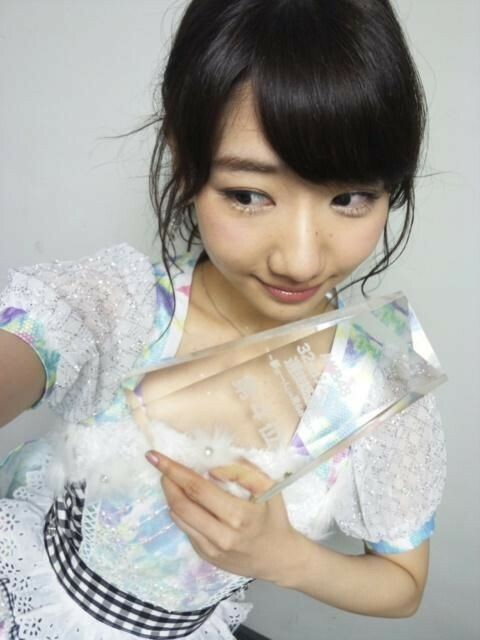 4th place in senbatsu sousenkyo! Today, we already had a shooting with the new senbatsu! Because of everyone, I was able to thoroughly enjoy this day. As I thought, this is the place I love, I want to become a vanguard of this group. Compared to last year, I want to give more feelings of gratitude!! I will not waste the thoughts from each and every one of you!!! The activities of the new song and dome tour!! I haven’t expressed it well. Please allow me to slowly repay your kindness. I sincerely thank you very much.